Everything you see is fully customisable. You do not need to be a graphic designer. Simply change the images, fonts, text and colours to create your own unique, professional media kit. Once your payment is complete, you will receive an email containing the link to one downloadable template and full instructions, including screenshots, with step by step instructions showing you how to copy and save your template ready for customising. In addition, should you require further help, we also have ‘How To’ videos available on our YouTube Channel. You are purchasing an instant download link to one editable Canva file. You will need an easy to open, free Canva account to work with the file and customise it. Everything on the template is customisable. 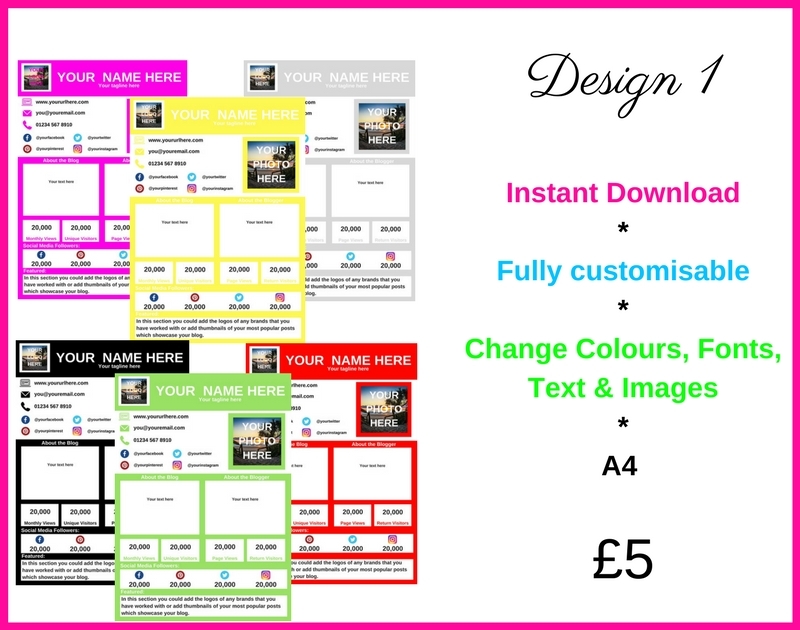 You can customise the template with your own fonts, colours, text and images. You can make the templates unique by your customisations. Perfect for bloggers who need to save time. These templates only work in Canva. This price is for a template and DOES NOT include customisation. You will need to customise the template yourself. You must follow the instructions (which will be included with your link) on how to copy and save the template for your own use. These designs are for personal use and not commercial use. As this is an instantly downloadable product, there are no refunds.